Looking for Cleaning Services in your Local area Nbtrade.com.au has you covered with Listings of Cleaning Ballina, Cleaning Lismore, Cleaning Byron Bay, Cleaning Murwillumbah or Cleaning Tweed Heads. All of the North Coast to the Gold Coast by Nbtrade.com.au Cleaning Directory, with Listings in Coolangatta Surfers Paradise and Southport. Nbtrade.com.au makes searching for businesses easy, without being bombarded with misleading advertising and confusing claims and simply bad information. It’s important to source the most professional and trusted Cleaning service with the latest equipment to do the best job possible. Find the right cleaning technology for you to ensure your carpet is cleaned to the highest standard. For vacuuming, sweeping, mopping, dusting, wiping, and polishing look no further then Nbtrade.com.au Cleaning Directory for the best and the most popular Cleaning Services in your local area. Cleaning is something everyone needs at some point of time. But it is said to be the least favourite of all house hold task. Get rid of dirt, dust, cobwebs, insect marks and leaves and get your house looking brand new without lifting a finger - except to pick up the phone! Call straight from our directory and let someone else clean your windows, screens, sills, gutters, paintwork and even patio or pergola to your total satisfaction. Daily life can leave marks and stains on your carpets and upholstery, especially if you have kids or pets - or both! It costs surprisingly little to have Cleaning Services thoroughly clean and deodorise anything from one room to the whole house, for a fresher, healthier home. Our carpet cleaners in our local area take great pride in their carpet cleaning. 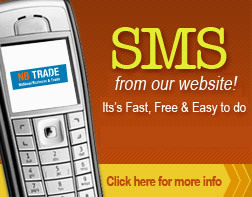 Our listings have the most up to date information and allow you to Email or SMS straight from our site. The correct Maintenance in the right manner saves your money as well as time. We at nbtrade.com.au provide the Online Cleaning Directoy for you to decide for your self the right choice in your suburb. We have vast experience in choosing the best Cleaners to do the job, big or small. For end of lease cleaning, upholstery cleaning, moving in cleaning, office cleaning, pressure water cleaning and builders final cleaning etc.